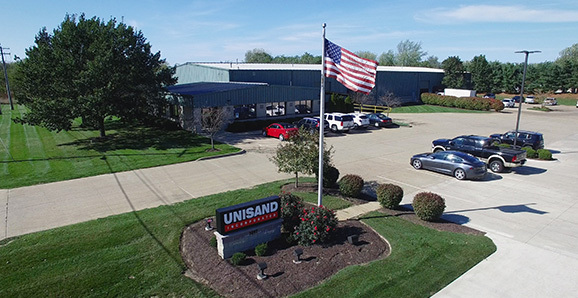 Started in 1990 as a distributor of coated abrasives, Unisand has since evolved into a fabricator of a very diverse line of coated and nonwoven abrasive products. From coated and nonwoven belts and discs to our trademarked Z-WHEELS, Unisand has continually provided it’s customers with a “Big Company” product line with the customer service of a small family business. Unisand has tried to associate itself with a premier line of coated abrasive suppliers. We realize who the competition is and if not given the proper base material and a consistent conversion of that material, our customers will fail to compete in todays market. One thing is for sure, if you purchase a product from Unisand this month…it will be the same product next year. Stability in our product line is what sets us apart. As Unisand continues to grow, we add at least two new products to our line each year and continually invest in new equipment. Please call Unisand today and we will have our nearest representative get in touch with you.